This installation of a Nordpeis Bergen stove was the second part of a project in Hampstead. We fitted the stove in the kitchen area. 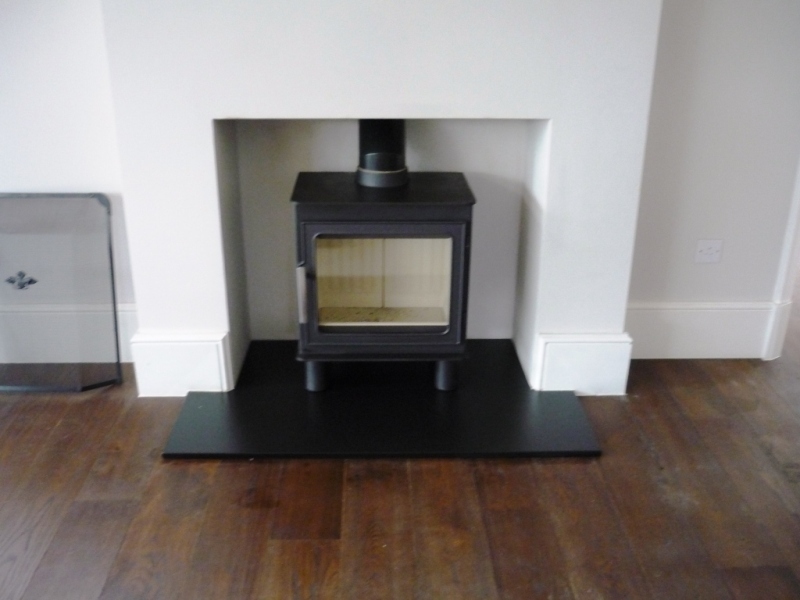 As the room had other forms of heating, the clients wishes were more for the look and feel of the stove rather than warmth. 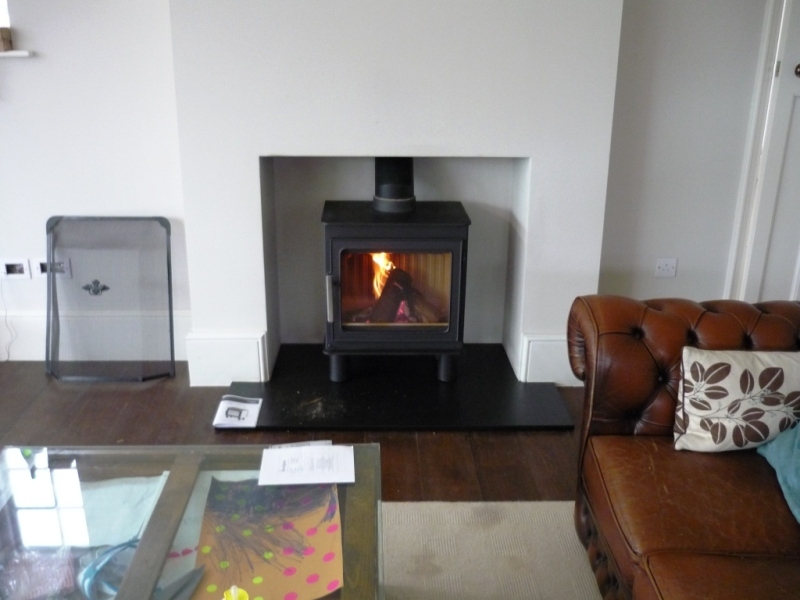 The client selected the Nordpeis Bergen stove due to its large open window and clean lines and styling. It was also felt that the stove would fit the opening well. We did have an issue with the installation. The opening of the pot was 10mm too narrow for the liner to fit down. The solution was to switch the two pots at the top but for that we needed some scaffolding so that we could work safely at the top. We immediately informed the client who was very understanding. 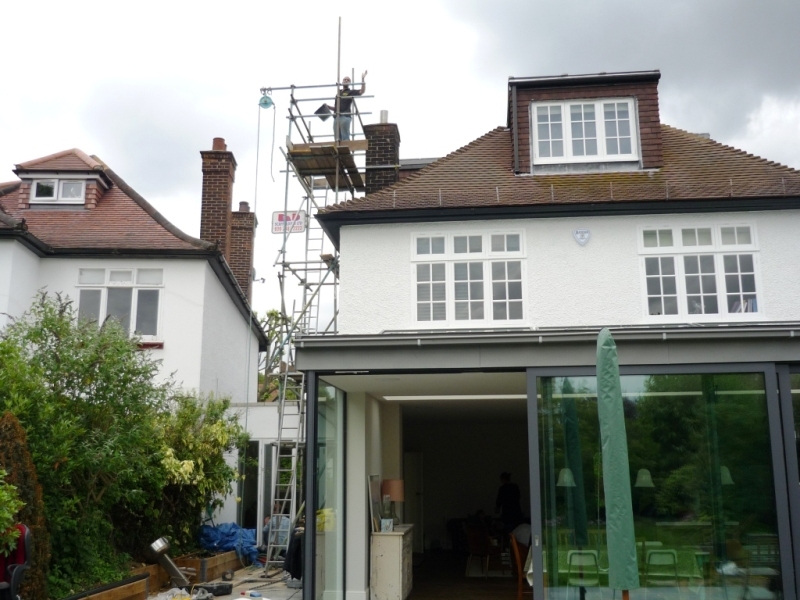 We organised for the scaffolding to be supplied and the stove installation was rescheduled for two weeks later. It all went smoothly and the stove looked fabulous in the kitchen. As we know in this business, issues can arise. When they do, it is our policy to inform the client and then deal with the issue as quickly as possible. View the first part of this project in Hampstead installed by The Billington Partnership.